Getting the simple but very important things right in a busy world will be key to your success. 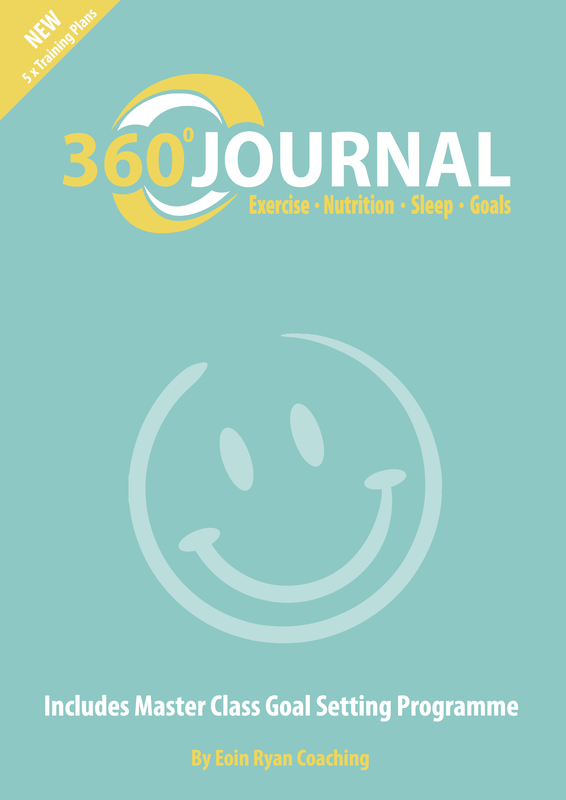 The 360 Journal is designed to assist in reprogramming you for success. By recording what/how you are you are currently doing in the three key areas of sleep, nutrition and exercise you will see how they influence your overall health, happiness and energy levels. What gets recorded gets done. Take your life to the next level! 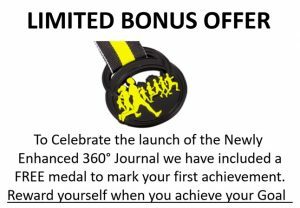 The New (2nd edition) 360 Journal also includes a two stage Master Class Goal setting programme. Stage one involves identifying your current core Values. This gives you an opportunity to check the alignment of your Goals from stage 2 with your core Values. If you have synergy – the chances of your success will greatly increase! Setting congruent Goals in line with your Values will be a WIN WIN for you.